I believe that is a excellent idea and it will be done every fall before I tuck it in for the winter. Last edited by Y-bodluvr; 04-14-2019 at 09:48 AM. What I would not give for your weather. IT FLOWS, IT GOES. Everything liquid. brake fluid, trans fluid, Power Steering Fluid, etc, etc. If you want to guess, change with Mobil 1 every 3000. If you want to know, change it, drain it and then have it tested by Blackstone Labs to know what is going on. I would do it to get a baseline after you changed oil and 3000 miles later. Say in a couple years, redo test to see if there is any unusual wear items going on in the motor. That or guess. My main question is how often should you change oil using Mobiil One synthetic oil? 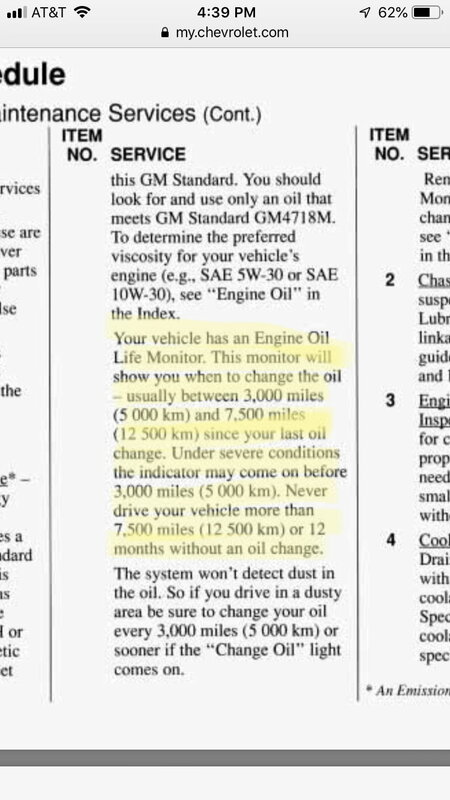 The car has an oil life monitoring system that factors in time, type of use, amount of fuel burned and other factors...then the car tells you when to change the oil. You should change it whenever the car tells you to. That's how often. I would think that a better way to do it is a sensor that actually measures the oil and tells you if it sees an issue and the best would be the Used Oil Analysis every couple of years to tell you if something is going wrong before it breaks. Actually the BEST way is to sample at every change interval so you have a running history of your particular engine/car. It will also tell you how your change intervals are working -if your need to tighten them up or if you can stretch them out more. But the OLM works better than good enough and if you can design a sensor that combines the functions of an oil analysis lab into one affordable sensor....you could be a rich man! Last edited by Bckmstr; 04-14-2019 at 02:45 PM. Good point. More data points. Unfortunately, once you add "affordable" into the mix, the job becomes way more complicated and when you put the "penny wise, pound foolish" public into the equation, it definitely will be a no starter. That sounds about right. My '92 tells me to change about every 7500 miles and I'm mostly highway commuting too, w/a little autocross and drag track mixed in. Sounds about right to me. Where is the access point for this information on a 95? I have two Honda’s that has that feature but did not know it was available in 95. The owners manual will tell you more about it than I ever could. Being an earlier system, I won't give you a "%"....just notify you when due. When you change the oil, you use the DIC buttons to reset it. That is a beautiful car! With your modded engine, assuming normal service and no severe driving, I suggest an oil/filter service every 5,000 miles or every year, whichever comes first. Although you would probably be OK following the oil life monitor (OLM). Mobil 1 is inexpensive so I would not go 7,000 miles, even with normal driving. Just remember to reset the OLM every time you do an oil/filter service. And you don't have to use Mobil 1, any Dexos 1 certified oil will work great. The original oil spec for these cars is GM 4718M, Dexos 1 meets this and then some. I can not find any where on the car or manual any feature that measures the oil life, This is a 1995 did they have that back then? Mine has a light that illuminates when it is time. I never bother with it myself. Yes, here is the excerpt from the manual for my 94, I’m sure 95 is the same. My '92 has it...so I'd bet the '95 does too. Go to the back of the owners manual; there is an index. Look up "O", Then "Oil life Monitor", it should tell you about it, give you directions as to how to reset it, etc. 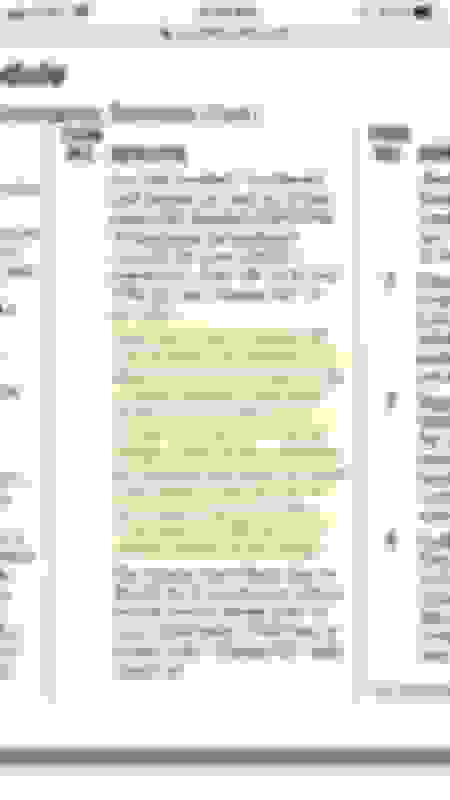 Last edited by Tom400CFI; 04-15-2019 at 05:42 PM.